A dangerous white powder is in the news – sugar. We’ve heard so much about the harmful effects of sugar lately, that it may be hard to distinguish facts from fiction, and it’s left many consumers with more questions than answers. That’s a problem because, let’s face it, when we’re talking about possibly reducing something we consume (and enjoy) on a daily basis, not knowing the facts can keep us from making necessary changes in our diets. To get the facts, health scientists at UCSF developed SugarScience.org to learn more about the latest research findings on sugar and its impact on health. Their goal? To help you make healthy choices based on clear, unbiased, scientific evidence. So far, the evidence is clear: too much added sugar doesn’t just make us fat – it can also make us sick. Americans consume an average of 66 pounds of sugar per year. Because it’s so easily digestable, too much sugar overwhelms the liver and can lead to type 2 diabetes, heart disease, and even liver disease and failure. Once you start to look for added sugar, you’ll find it everywhere. SugarScience.org has uncovered 61 different names for sugar in the products we consume. Imagine my dismay when I discovered that my favorite salad exhausted my entire recommended daily allowance of sugar. But even small changes can make a big difference. Perhaps the simplest change you can make is to stop drinking “liquid sugar.” Sugary drinks such as sodas, sports drinks and even fruit drinks are particularly harmful. If we could eliminate sugary drinks, we’d collectively cut out 37% of our sugar consumption. And there’s evidence that artificial sweeteners inflict the same kind of damage as real sugar. But life can still be sweet. “Added sugars” don’t include the sugars we find in fruits, berries, and vegetables. That’s because when we eat them, we also get their natural good fiber, which makes the sugar harder to digest and keeps it from overwhelming the liver. Learn more about sugar and SugarScience.org. 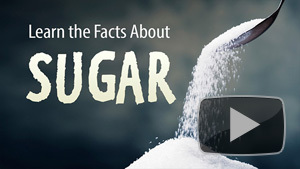 Watch Learn the Facts about Sugar – How Sugar Impacts Your Health today. Just hearing the word “emergency” strikes fear into most of us. The best thing you can do to offset this fear is educate yourself so you are well equipped to cope with emergencies. 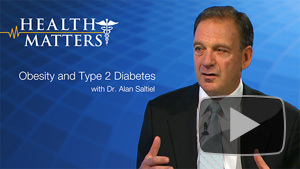 Dr. Steven Edelman welcomes Dr. Ian Blumer to discuss the most common diabetic emergencies. Learn how to handle these emergencies, as well as avoid them, and how to better inform your caregivers of your needs as a diabetic. Tune in for Taking Control of Your Diabetes: Diabetic Medical Emergencies. Or watch it online now! Eat and live healthy, and make sure to watch the latest episode of TCOYD on UCSD-TV, “Diabetes and the Gastrointestinal Tract.” Or watch it online now! The latest episode of TCOYD, Diabetes and the Gastrointestinal Tract, examined ways we manage GI issues at meal times. Your morning routine can impact how you feel throughout the day. Here’s TCOYD’s resident fitness expert Michelle Day with a tip to keep your diabetes in check and your body fit. Sun salutations are a great way to start off your morning and get your system back on track. Learn the sequence of poses by going to YouTube and keyword, sun salutations. Namaste. Get more tips from Michelle on the latest episode of Taking Control of Your Diabetes online now.